Houseplants. Houseplants, such as cacti or spider plants, can bring a little bit of the lively outside into your home. Flowering plants can add that much-needed color pop, or simple ivy could bring a sense of calmness amidst other colors in your home. Accent Walls. An accent wall could be just what your living room needs to make it feel warm and welcome! Accent walls can play into whatever color scheme you want, and don’t just have to be painted— you could use tiles, wood, or even brick to make your living room unique. ‘Iconic’ Furniture Pieces. Some furniture pieces are just so different you have to have them. 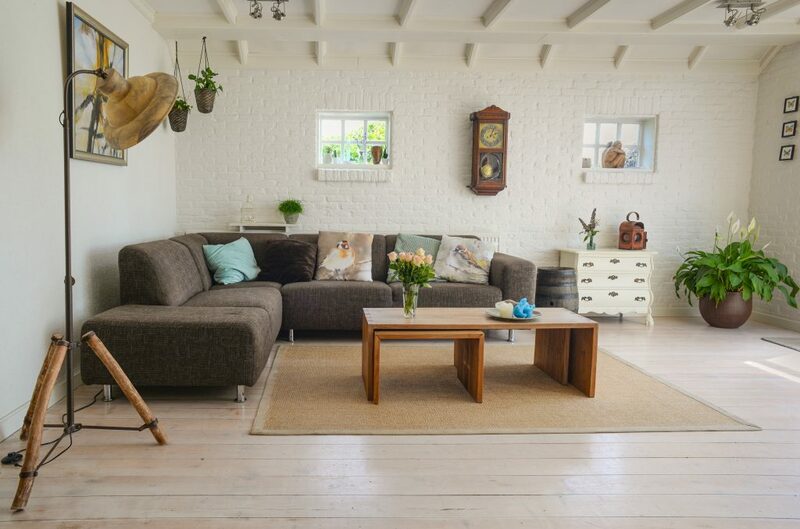 An unique lamp, a colorful couch, or a distinct coffee table can bring more individuality to your home and make it a memorable place for all of your visitors. Photo Walls. A picture says 1,000 words, and a photo wall says even more. Having one wall— or one part of a wall— dedicated to photos of family, friends, or adventures can make a living room feel more intimate and cheerful. This personal staple could easily work itself into your living room! Unique Pillows or Blankets. Wanting to add just a subtle touch of something new to your home? Couch pillows or blankets make this easy to do (and affordable). Whether you just change up the color scheme, add one or two patterned pillows to your couch, or switch out your old blankets for a new one, this is a great way to make your living room your own.